For more than 27 years, S.E.A. Olympus Marketing, Incorporated has been a top and consistent producer and distributor of high quality raw materials in the country. Through the years, we expanded the scope to construction and industrial materials continuing its service to be the leading provider of innovative solutions to different industries. Our brand Polyklear Composites is a leading supplier of fiberglass and resins for industries such as home décor, fashion accessories, water and land transportation and furniture just to name a few. 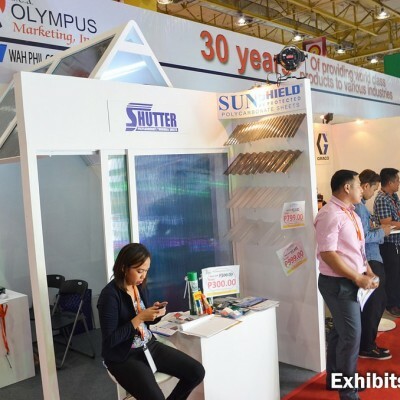 In construction, our polycarbonate sheets brands like Sunshield Polycarbonate Sheets, Sunlite Polycarbonate Sheets, and Shutter Hollow Twinwall Polycarbonate Sheets keep on to be the leading brands of their kind. Solflex Solid Surface, and Markee Quartz give customers the best option for their counter and vanity tops. With the goal to provide environment-friendly products for the various industries we supply, we have introduced Ecofoam Polyurethane Foam and Ecofoam Fill 'Em Up to the market. While the former helps extensively in energy saving, the latter provides not only excellent waterproofing benefits but also additional superior protection to existing substrates. In keeping with our goal to save the environment, we have started distributing energy saving 3M Window Films. We also carry a wide variety of industrial equipment from some of the biggest brands such as Titan, Graco, Prona, and SP Air. And as for the retail consumer market, we are the exclusive distributor of Techni-Ice ice packs in the country. S.E.A. 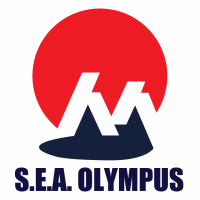 Olympus leads its affiliates Sparko Surface Coatings and Scade Industrial Corporation to be the best supplier in their own field. Sparko Surface Coatings provides the highest quality coating materials and Scade continues to manufacture outstanding stainless steel products. Its line of water tanks: Tankee Superior Water Tank, Tankee Voyager, and Tankee Pressure are just some of the top players in the market. At S.E.A. Olympus, we uphold and imbibe the values of loyalty, care, boldness, honesty, and respect not only for our people but how we deal with our clients. Rest assured, our valued clients gets the highest quality as well as the best service from us.